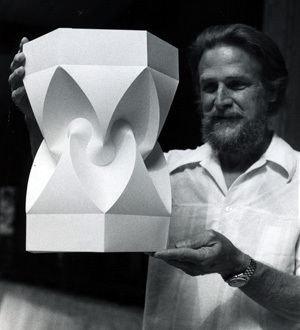 David Huffman, with one of his paper foldings, in 1978. "Origami: Art + Mathematics," an exhibit at UC Santa Cruz honoring the late David Huffman, UCSC computer scientist and a pioneer of mathematical origami, opens on Sunday, April 8, at the Eloise Pickard Smith Gallery, Cowell College, and continues through June 16. The exhibit features internationally known computational origami artists Robert Lang, Erik and Martin Demaine, and Brian Chan, as well as rarely seen works by Huffman and one work by the late French origami master Eric Joisel. An opening reception for the exhibit will be held from 2 to 4 p.m. on April 8 at the Smith Gallery. Also on April 8, Lang and Erik Demaine will give two public talks with slides: a technical presentation focusing on the mathematics of origami at 12:30 p.m. in the Cowell Conference Room, and a presentation for the general public at 4:30 p.m. in the Humanities Lecture Hall. All events are free and open to the public. 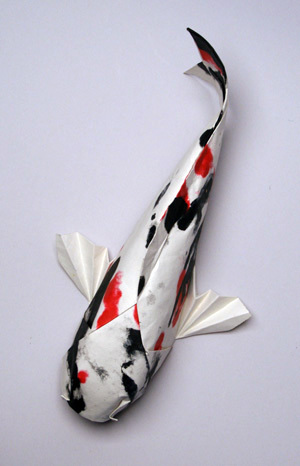 "This type of origami is not your father's origami. This is computational origami, and it will blow your mind," said Linda Pope, director and curator of the Smith Gallery. Lang, Demaine, and other artists in the exhibit are featured in an award-winning documentary film, "Between the Folds," which will be shown in the Smith Gallery Annex throughout the exhibition's run, from April 8 through June 16. 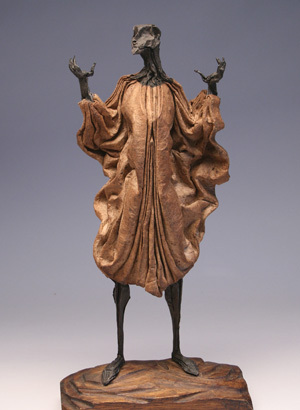 In planning the exhibit, which was inspired by the film, Pope selected a wide range of origami styles, including abstract pieces, human figures, a variety of insects, and a central pond scene installation. Lang, one of the world's leading origami masters, is known for designs of great detail and realism, including some of the most complex origami designs ever created. A physicist and engineer, Lang is a pioneer of the cross-disciplinary marriage of origami with mathematics. Demaine, a professor of computer science at the Massachusetts Institute of Technology, has done seminal work in the field of computational origami, working with his father, artist and sculptor Martin Demaine, to create abstract origami sculptures representing complex mathematical algorithms. Chan is an artist and craftsman known for his realistic insects and other complex figures. Joisel, the only non-computational origami artist in the exhibit, created stunningly beautiful and complex sculpted origami models. "This is an exhibit that will appeal to everyone: university students, the general public, and children of all ages. The connection between art and mathematics in origami is fascinating," Pope said. The events on April 8 will also include the presentation of the Huffman Prize, which is awarded annually to a graduating senior in the Baskin School of Engineering whose academic career at UCSC exhibits extraordinary creativity, depth of inquiry, and overall excellence. 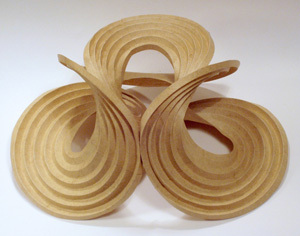 Huffman, who came to UCSC in 1967 as the founding faculty member of the computer science department, developed his own techniques for paper folding as an outgrowth of his work on the mathematical properties of "zero curvature" surfaces. He made important contributions in many areas of computer science, including the development of the Huffman Coding Procedure, used in nearly every application that involves the compression and transmission of digital data. The Eloise Pickard Smith Gallery is located at Cowell College and is open Tuesday through Sunday from 11 a.m. to 4 p.m. For more information about the exhibit, contact the gallery at (831) 459-2953.